The impact of acne can continue even when you have successfully fought off an outbreak, because it often leaves behind unsightly scars that will not simply go away of their own accord. At Bodyvie, we have a range of effective treatments designed to help reduce the appearance of acne scars and restore your skin to a smooth, unblemished appearance. There are several kinds of acne scars, the most common being the ‘ice pick scar’, which looks like a small, deep hole in your skin. Rolling acne scars have a wave-like appearance, while box scars are more angular and are commonly found on the cheeks and temples. 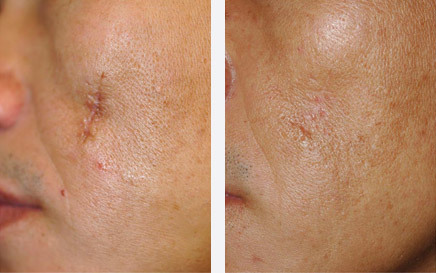 We treat all three kinds of acne scars here at the Bodyvie clinic, using techniques including micro-needling, laser therapy, chemical peels, non-surgical facelifts and skin tightening. Acne scarring treatments typically work by stimulating the production of collagen, which naturally promotes healing and regeneration. Chemical peels take away the top layer of skin to stimulate the growth of healthy new skin cells, while micro-needling delivers tiny pin pricks to the surface of skin, promoting collagen production. Laser therapy uses laser heat to penetrate the skin to achieve the same effect. The type of treatment you will require will depend on the nature and extent of your acne scars, so you will have an in-depth consultation prior to treatment, during which your Bodyvie aesthetician will advise you on the most suitable procedure to achieve the best results for your skin. Each treatment may vary from one person to another. 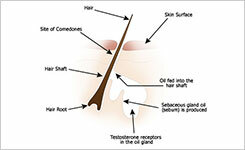 Help get rid of acne scarring by arranging a consultation. All treatments for acne scarring have little or no downtime, meaning that you can resume your everyday activities immediately after each treatment session. Acne scarring procedures typically require a course of several treatments to achieve optimum results; the exact number depends on the kind of scars being treated and the procedure required. This procedure is painless and has almost no downtime needed which means you can go back to your daily activities straight away. Results are immediate as well, offering quicker results than pharmaceuticals.